Cream rustic large 5 drawer tallboy chest of drawers. Boasting five spacious drawers, perfect for a vintage storage solution. 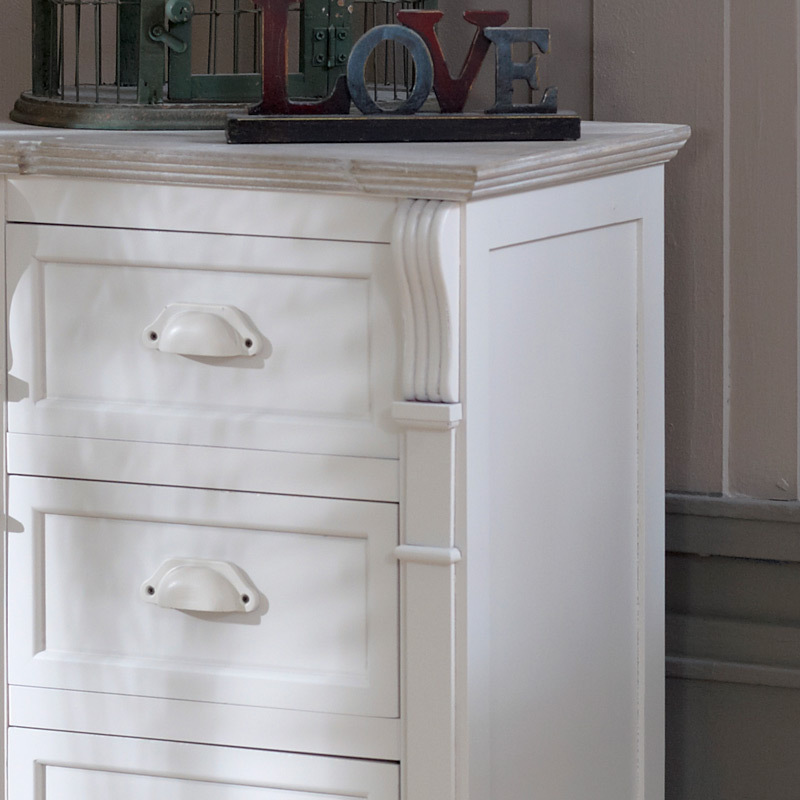 Transform your space into a country idyll with this vintage-inspired hand-painted chest of drawers, part of our Lyon range. 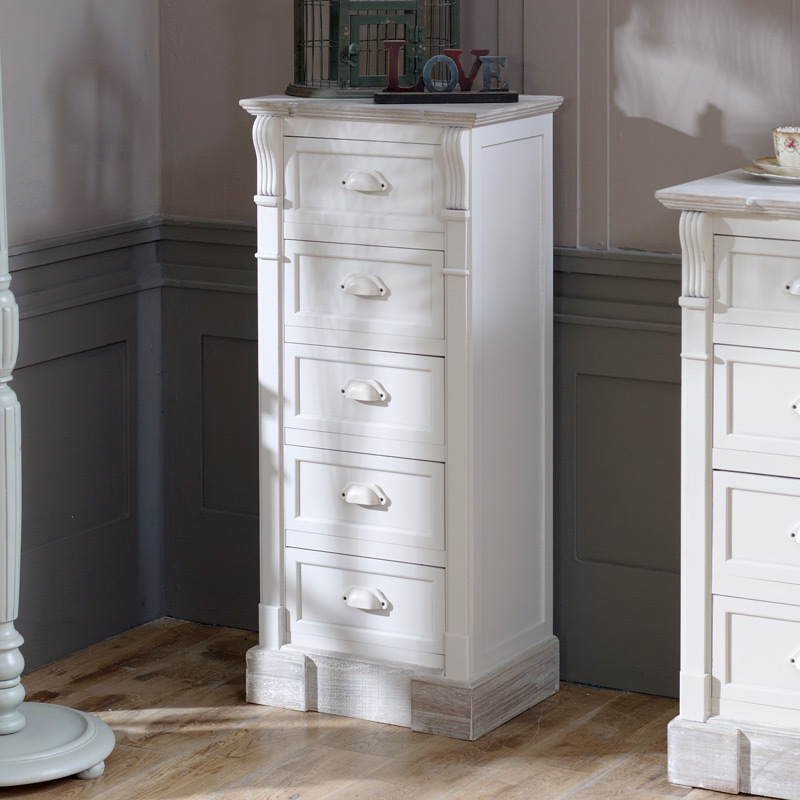 Mixing classical antique country design, painted in cream with lightly distressed limed edging, in a sturdy solid wood.